Welcome back, KMandla! — It’s my first time commenting since your previous-blog days and I’m just now catching up to your new site after spending the last two days staring at… 50 separate pages of posts… and counting. (Please reconsider the endless scrolling-page-of-doom template…) So excited to see you active again! 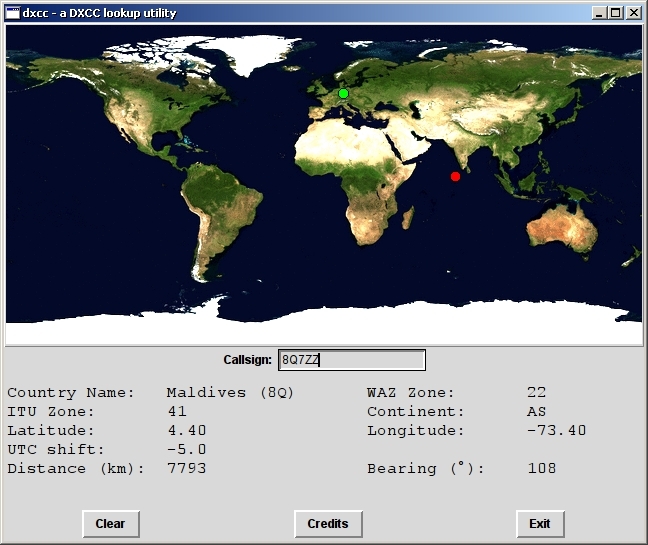 Re: dxcc, it appears to be designed to assist in getting a ham the Distant eXchange Century Club award (http://www.arrl.org/dxcc-rules). You must verify two-way contact to various regions with a unique contact for each region. 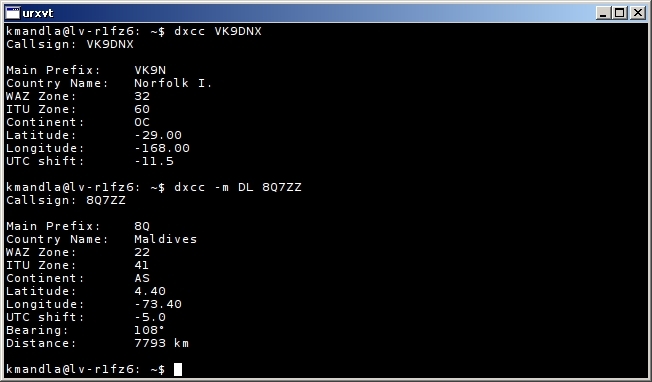 This program would allow you to quickly confirm whether or not a contact is a duplicate of one you’ve reached before (and thus, mark it as uninteresting – from a contest perspective). I believe most of these guys attempt DX via packet radio setups, so it makes sense to have a querying program do the work for them. FYI, I’m a licensed amateur radio operator.